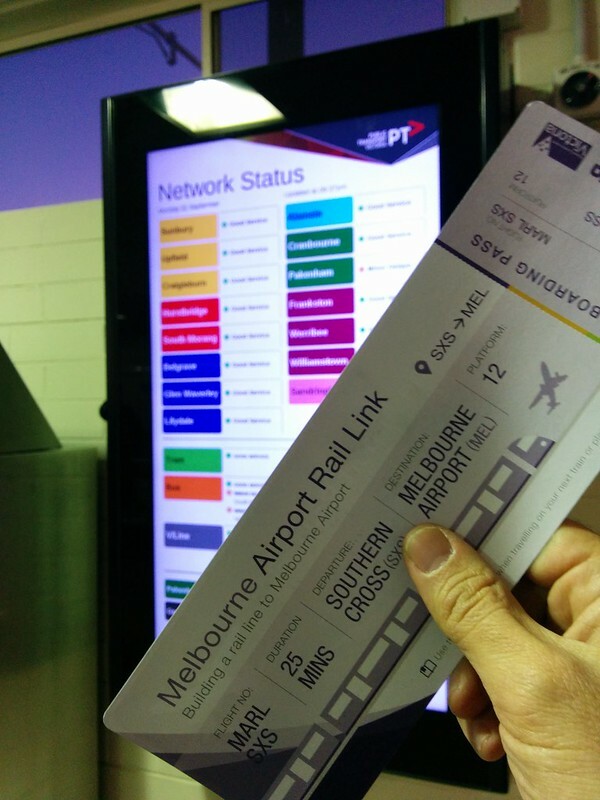 With regards to the signage at Footscray, it doesn’t necessarily need information for all 6 platforms. Platform 3 is all inbound V/line services, which do not take passengers, so signing them would be pointless. At the moment, there are only 2 services per hour that stop at platform 4, both of which are after the trains listed on that board already (I’m assuming this was a mid week photograph). They do show up closer to their departure times. I’ve no idea why they needed correspondence from New York and Dubai for the stabbing, as well as in front of the mosque in Hallam, but not at the Shopping Centre next door. 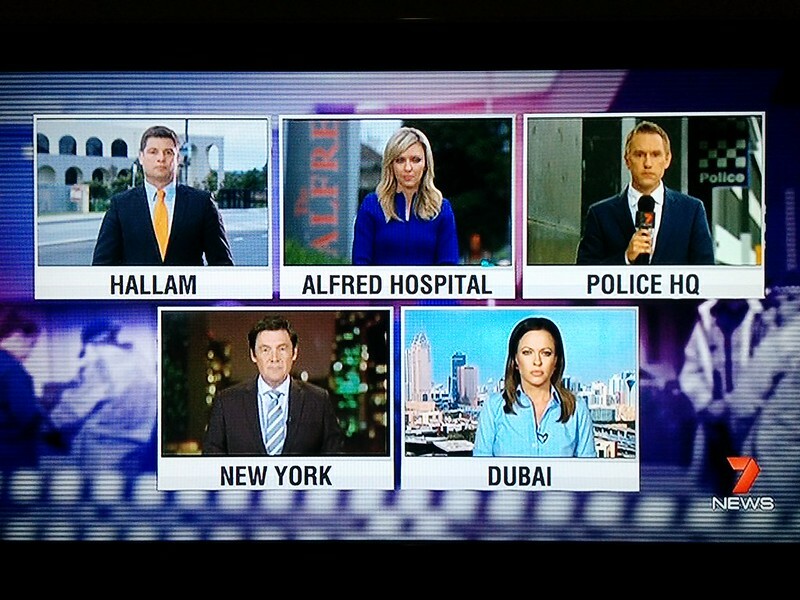 I was at Endeavour Hills Shopping Centre on Wednesday morning to go to Safeway and the number of both police and media personnel were astounding, but apparently 7 News weren’t there. Also found out I went to school with the perpetrator. Safeway also had one of those umbrella-baggers, despite being in the middle of shopping centre. The 40 minute Sunday morning services were abolished in April 2011 (if I remember the year and month correctly) were abolished on the Clifton Hill and Burnley groups along with 40 minute Sunday evening services (Eltham-Hurstbridge going to hourly and the rest to half-hourly). It is strange that the same change was not made for the Northern group on Sunday mornings at the same time. 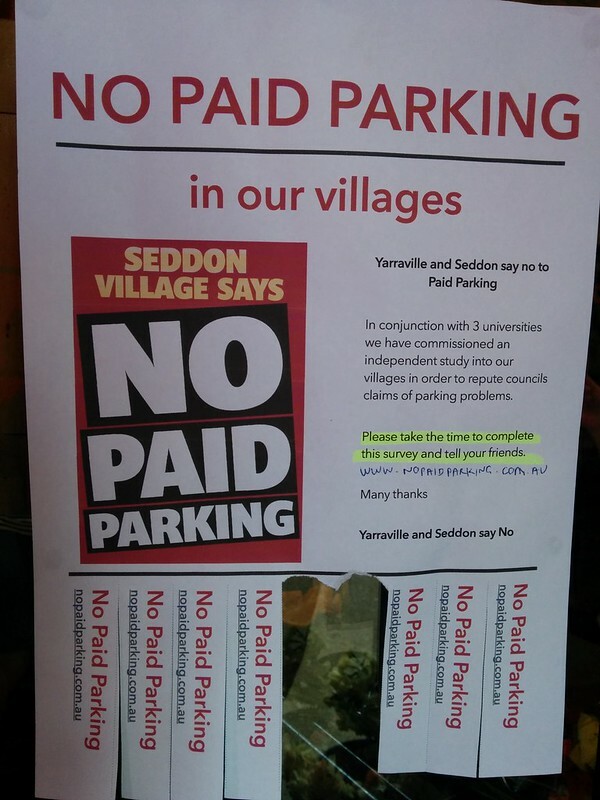 Was it because the evening services were shifted to 30 minutes when the Caulfield/South Yarra group were? Or because the current government could only win one of the seats (Essendon) that these lines run through? Half-hourly trains may not be enough if 40 minute services are packed. Clifton Hill group lines still have Sunday morning services every 40 minutes. 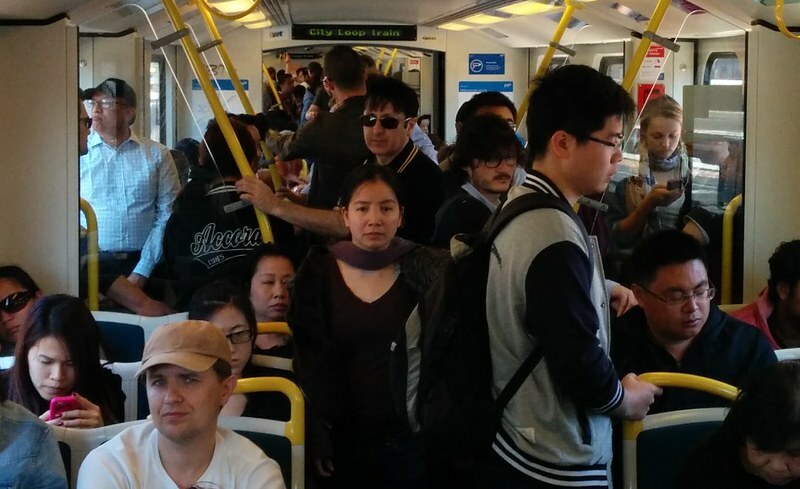 Trams are another big one for poor Sunday services. Some lines have services every half-hour until later than eleven in the morning. Routes 1 and 8 were upgraded to every 20 minutes at worst a couple of years ago, but it looked like an isolated case with new lines such as 11 and 12 still having half-hourly services on Sunday mornings and evenings. The last time I was out there, there was no PIDS for outbound V/Line trains at both Footscray and Sunshine. That is just not ok. Given you have the greatest diversity of lines operating from those platforms, I would say the importance of a PIDS is somewhat larger due to that fact. Soon, you will have Geelong corridor services as well, and are said to be operating every 20 minutes too. 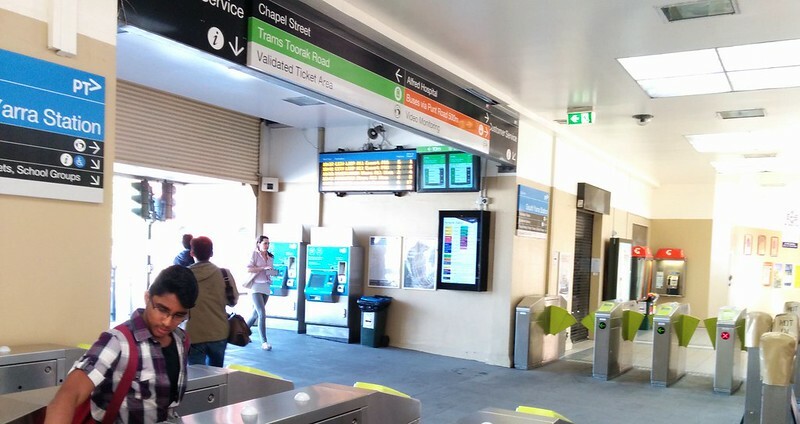 The irony is that #4 at Footscray, was #2, and had a PIDS display for that platform. Why was it removed? In all fairness, South Yarra, all 6 platforms are Metro, where at Footscray only 4 of the platforms are. 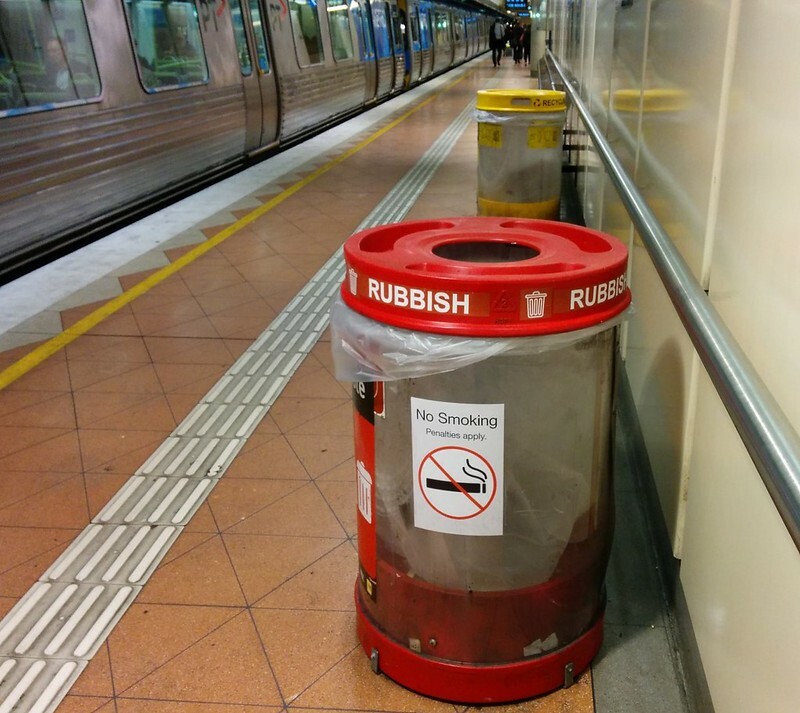 Did some city experiment with ‘bomb proof’ bins? Why can we not do something similar here? I know the ratbag ex-councillor who was responsible for naming Lois Lane – and yes the name was chosen deliberately! 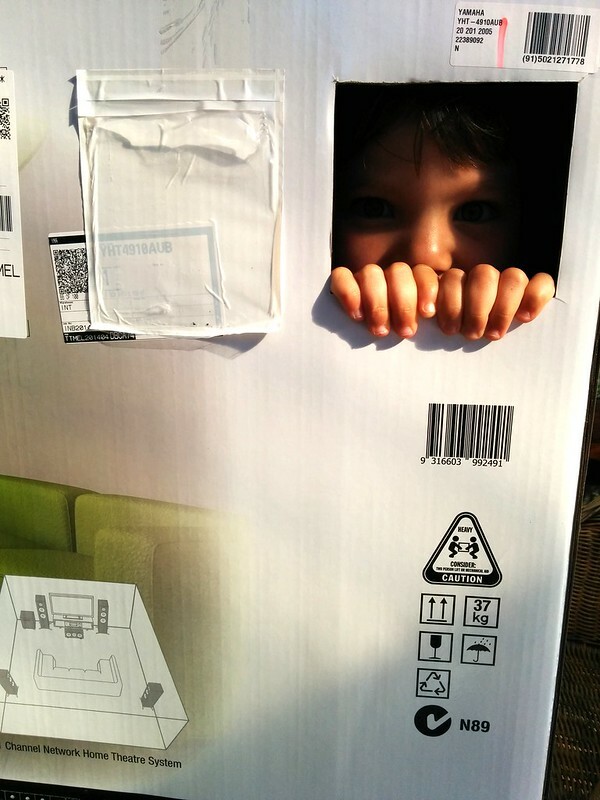 Daniel, your bin photo will go down in history (at least until we get our bins back)! 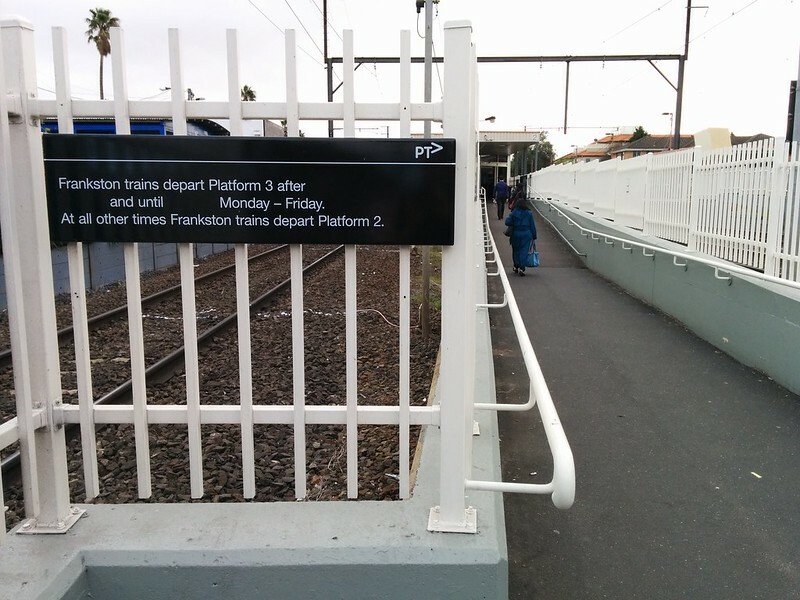 And if you want to keep pushing for Metro to put the info for platform 3 departures back on the Frankston line station signs, Ormond is still lacking it after many months! Not having travelled through (changing at) South Yarra for a while until recently, I am impressed with their new layout, and the number of signs around. Finally fixing the horror that was there (on entry/interchange congestion, and the on the diets/health of the schoolkids with that cruddy kiosk!). On Sunday morning trains, geez the services are crap still. I can’t believe how late the first trains start. They were that late when I was a kid, and even then I found it a problem (no joke). The half-hour service on the Ringwood corridor on a normal winter Sunday at 9 am meant that the train was as full as a heavy peak load (people crammed in doors at what is usually the “quiet end”) arriving at Richmond. I haven’t been on early Sunday Frankston trains in a while, but I don’t remember it being quite that bad the last time (hopefully it isn’t when I next get one). But Sunday services should really run like Saturday services. Using them I don’t see a difference in loading. I don’t get why the timetable isn’t unified across the weekend entirely. 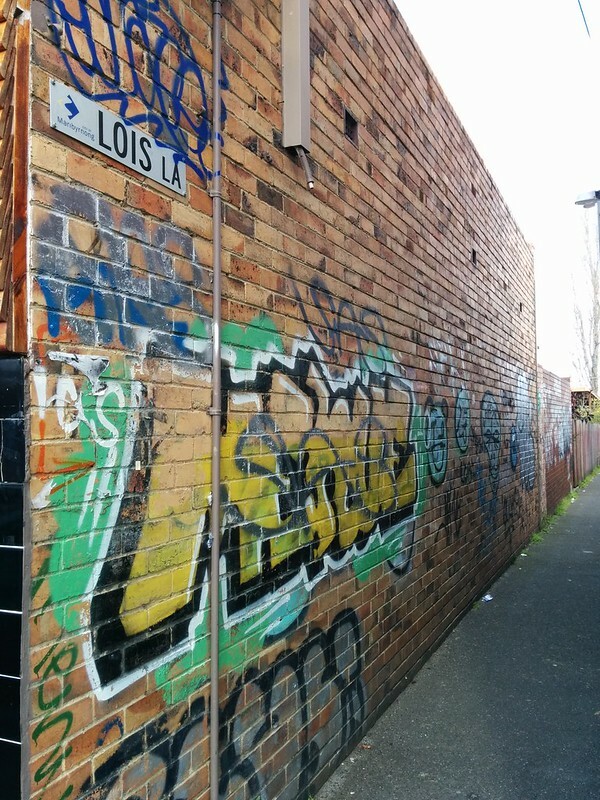 (Something, something, liveability?) Bus timetables especially (new Transdev eastern suburbs timetables have some really good Saturday services now, but Sunday service is then half of that, which makes no sense, unless a LOT more people go to church/etc than I thought!). 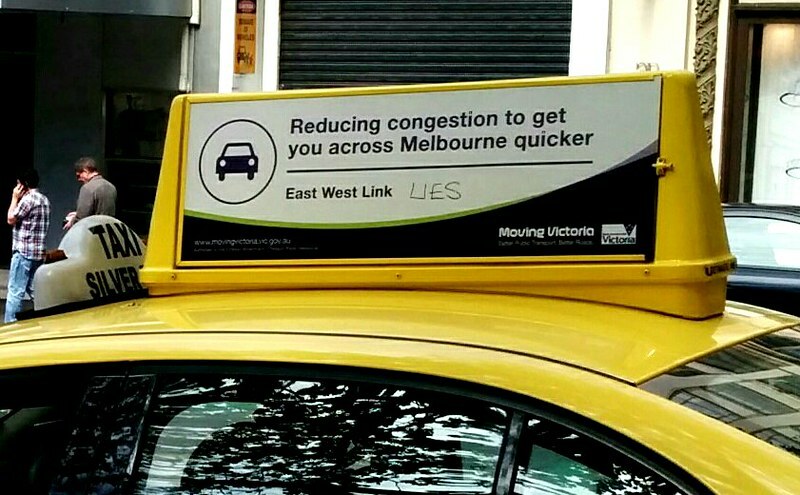 I’m amazed that Labor (or even Libs) aren’t trying to sell a cheap PT improvement of “better Sunday trains”. Just put a photo of a full Sunday train next to an ad, and you’ll be able to sell it–then all the fun run participants and the like will also be able to get the train (gotta be a cheaper vote winner than even a level crossing removal). 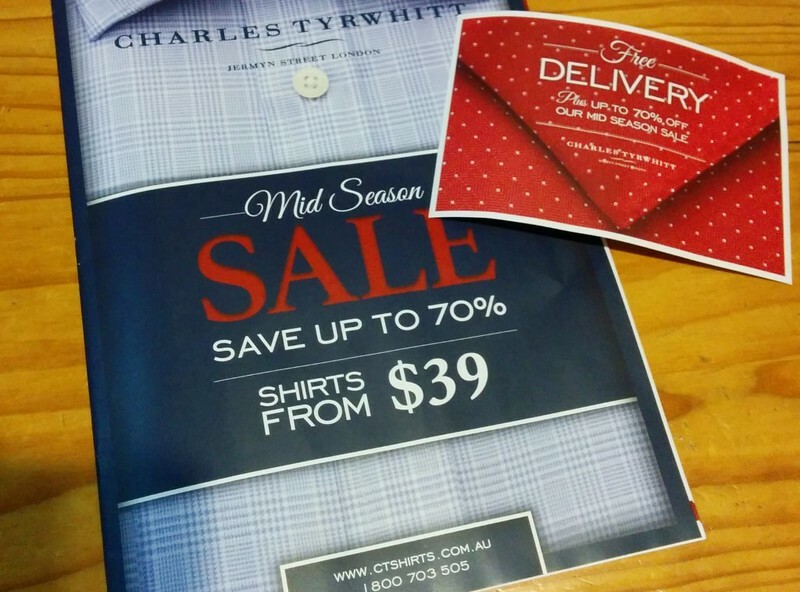 Charles Tyrwhitt shirts sound very posh. Starting at $39, maybe not so much. 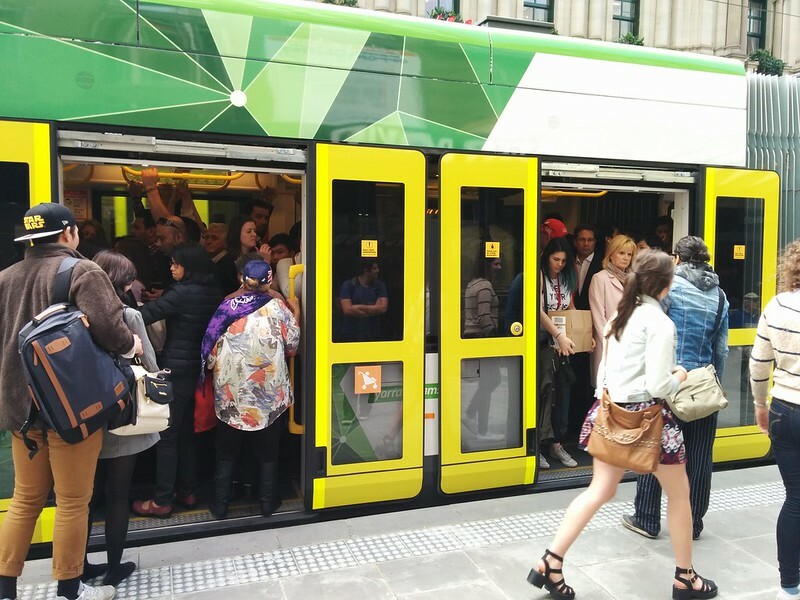 Campbell, tram loadings before 11am on Sundays don’t indicate a need for more frequent services, although there are some quite frustrated faces at tram stops who have been waiting for a long time. Maybe if a more frequent service was in place, people would come. 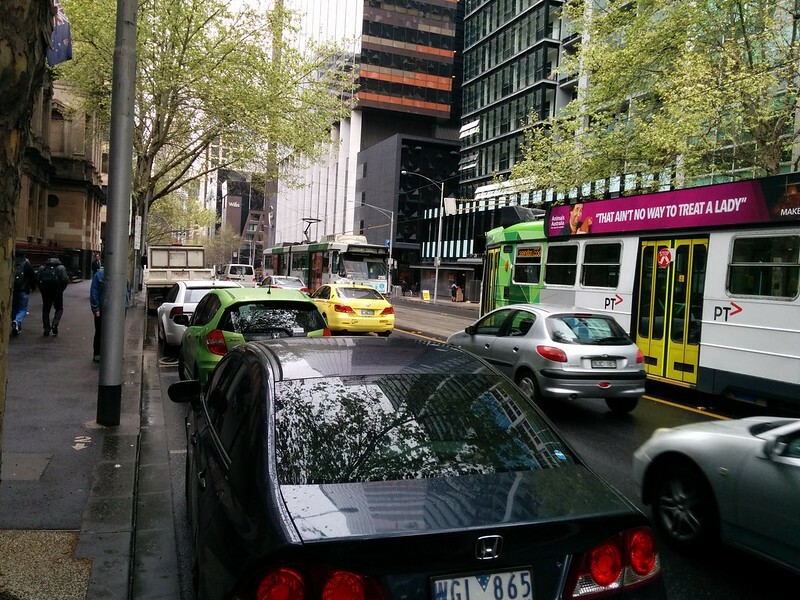 But there won’t be extra people to provide more profits to the overseas owned Yarra Trams.